Protecting your family and your property is a high priority for many people, especially those who live in neighborhoods or other areas where break-ins might be a problem. 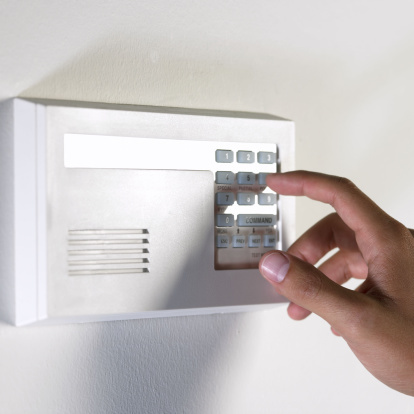 The truth is, it can happen anywhere, and adding a security system to your home is always a good idea. But even if you don't actually have a security system, you can still place the signs on and around your home to indicate that you do. Just choose the best locations for the signs for maximum effect. Windows are a place where intruders would likely see a home security sign. 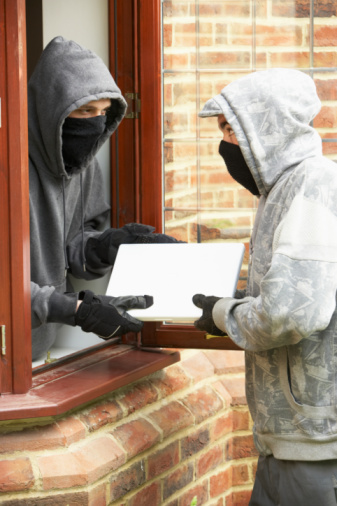 One of the easiest ways for a burglar to get into your home is through a window. Ground-floor windows are obviously the easiest to access in most instances, so placing a home security sign in the form of a sticker on every ground-floor window in your home will deter burglars who only want to bother with easy targets, according to the Super Home Security website. Whether you have a security system or not, they will be unable to tell as long as you use stickers that look authentic. Those who intend to burglarize homes often scout out and "case" their targets ahead of time. They want to minimize the risk involved, since there is no point in robbing a place if it is ultimately going to land them in jail. As they move by during this process, it is likely they will take a close look at every detail. A sign staked at the curb near the end of the driveway is an obvious location where anyone considering perpetrating this kind of crime will see it. Simply seeing this sign planted boldly out front lets them know the homeowner is giving thieves fair warning. A home security sign, no matter how well placed or designed, will be ineffective if it is too dark to see it. While many thieves do their work boldly in broad daylight, much of the targeting and breaking in also happens at night. It is important to be sure the home security signs you put out are lit well enough for would-be burglars to see them. According to the Security World News website, there are products on the market designed to hold your home security signs that are solar powered and shine a bright light on the front of the sign at night. A lit sign staked in the front yard in an easy-to-see location would be a good deterrent for intruders. Just as windows are prone to break-ins, so are doors. In fact, an intruder would likely prefer to get in through a door if it isn't equipped with good locking mechanisms. Placing a sticker or sign on each exterior door indicating a home security system has been installed is among the best ways to provide a deterrent, according to the Housing Forum website. No matter where you choose to place a sign or sticker showing off your home security system, make sure it is at a height where people will notice it. A sticker on the bottom corner of a storm door is probably not as effective as one near the handle or at eye height. The intruder could possible break in without even knowing you had a system installed. And if you don't, and are simply using the signs as a deterrent, then you could be a victim of a break-in unnecessarily.